Discount ladies flat heel lace up dance shoes 1643FT. Ladies flat heel dance shoes. 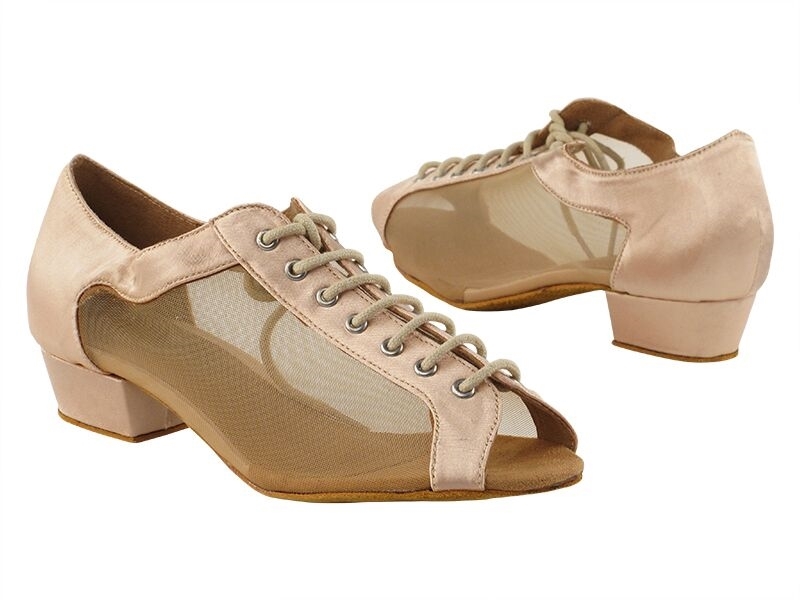 These ladies discount dance shoes lace up and have a small toe opening and 1" flat heel for comfort! Width: medium -Sizes 4.5-10. There are 3 color options: black leather and mesh, flesh satin and mesh and black nubuck and mesh, all with suede soles. Discount flat heel ladies practice dance shoes with quick release buckle.